The Dominion DSM case was held Wednesday, March 20th before the three Commissioners of the State Corporation Commission (SCC). This was the first case being heard by the new Commissioner, Judge Patricia West. Our previous blog post on the DSM application went into detail about the programs themselves so this post will only focus on the proceeding. You can review all proceeding materials on the SCC webpage for this docket. 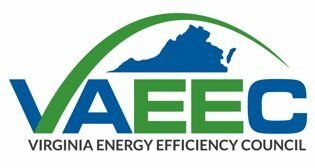 At the beginning of the proceeding, the Commissioners heard oral arguments on whether or not lost revenues should be considered as part of Dominion Energy’s commitment to propose $870M worth of energy efficiency programs over the next ten years, as part of the 2018 Grid Transformation and Security Act. Counsel for VAEEC reiterated the position, as stated in our legal brief, that lost revenues should not count towards the $870M, since the the statute that states this commitment does not mention lost revenues. Walmart, environmental respondents and the SCC staff agreed with our arguments. In addition, while the Attorney General’s office took no official position, they did mention in their oral arguments that no one- in either oral arguments or public comments (written and oral)- supported the Company’s position that lost revenues should be included in the commitment to propose $870M in energy efficiency programs over the next decade. The Commissioners asked a lot of questions during oral arguments and are anticipated to make a ruling on this issue in their Final Order for the DSM proceeding. 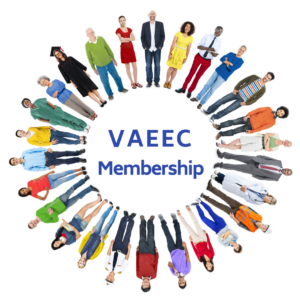 During the proceeding, VAEEC, environmental respondents (Appalachian Voices and Natural Resources Defense Council), and Sierra Club supported all ten of the proposed EE programs (11 demand response programs in total). The SCC staff and the AG’s office were “unopposed” to seven programs and had “remaining concerns” about the other four. During the hearing Dominion Energy staff stated that due to a calculation error regarding higher-than-expected participation rates for the Residential Engagement program, the Company had reduced their overall budget request to $203.9M. VAEEC witness, Rachel Gold, with the American Council for an Energy-Efficient Economy, took the stand in support of the proposed programs and explained the value of benchmarking to evaluate whether or not the target set by the General Assembly- for Dominion Energy to propose $870 million in energy efficiency programming over the next decade- is achievable. The good news is, according to the results of that analysis done by ACEEE, this target should be easily attainable. Initially, SCC staff stated that they were “unopposed” to the above programs. However, after further pressing by Commissioner Christie, SCC Staff stated that they did, in fact, support these programs. One interesting thing to note during this back and forth is that the Commissioners were expressing frustration with both Staff and the Company regarding the lack of analysis based on real energy savings. They argued that Staff should be able to take positions on proposed programs that are based on previously-approved programs since there would be real-energy savings data captured for those programs. While this data is provided by the Company in their annual EM&V filings, the Commission felt that the data could be provided in an more easy-to-digest format. Commissioner Christie directed the Company to produce a spreadsheet on previously approved programs to show the actual program costs and actual kWh savings. The Company asked for a one-week deadline to submit that table into evidence. The inclusion of this type of table in future filings can bolster future applications by showing just how much savings are being realized by these programs, which could help win approval more easily. While the Commissioners are skeptical of energy efficiency programs and the projected savings they can achieve, that skepticism can potentially turn to support if strong energy-savings numbers are achieved in prior program iterations. Home Energy Assessment Program: SCC staff was concerned that payout incentives were greater than material costs for individual products, which could lead to abuse. In rebuttal testimony, Dominion Energy pointed out that those assessments did not include labor costs. Customer Engagement Program: SCC staff were concerned about non-response rates and wanted the Company to provide traditional savings analysis for this program, which the Company did not do. An employee of the vendor took the stand to explain that behavioral programs cannot be analyzed in the way Staff was requesting, which was the reason the Company was unable to provide analysis. He then walked through how a behavioral program is assessed. According to our expert witness, Rachel Gold, who has worked for another leading company in this field, what he described is a standard practice used to evaluate these types of programs across the country. Non-Residential Heating and Cooling Efficiency Program: Staff’s concerns regarding this program were twofold; the TRC test score and participation rates. The Company rounded the TRC test score from 0.9965 to 1.00 in their application. Staff argued that 0.9965 was not “1” and therefore this program did not pass three of four cost tests as required by the statute. Judge Jagdman asked a clarifying question on the exact language of the statute indicating that she, at least, may be inclined to approve this program. Staff also stated they had concerns regarding the Company’s projected participation rates for the proposed program because the actual participation rates in the current program are far below the projected rates, and the new projected participation rates are even higher than the projected rates for the current program. Non-Residential Office Program: The issue with this program was related to the building size used in the modeling for the program. SCC staff stated that the Company was using office space of 100,000 sq. ft., which they were concerned was unrealistic and would therefore result in overstated cost-savings estimates. A Company witness from the vendor for this program testified that the program was modeled using 80,000 sq. ft. buildings, not 100,000 sq. ft., and that, 80,000sq. ft. was, in fact, a typical office building size in Dominion Energy’s service territory. The Commission has until June 3rd to make their decision. We will be sure to let our members know the outcome once we have a chance to review the Final Order, so stay tuned for updates. We will continue to keep our members apprised of how these programs shape up for the next DSM filing in October 2019.